Vicky A. Hall, 70, Port Clinton, died peacefully at Stein Hospice Care Center on Friday, October 12, 2018. She is survived by her husband, Ronald, whom she married May 17, 1969, in Sandusky; along with daughter, Amy E. DePriest, Canal Winchester, Ohio; son, Jason M. Hall and two granddaughters, Stella and Roxanne, all living in Cape Coral, Florida. Vicky also survived by sisters Sharon Dawson, Findlay, and Sandra Mohrman, Elmore, Laura Beaubouef, Huron, and brother Dean Bradford, Sandusky as well as six nieces and nephews. She was preceded in death by her parents, Mary and Herbert “Brick” Bradford of Sandusky. 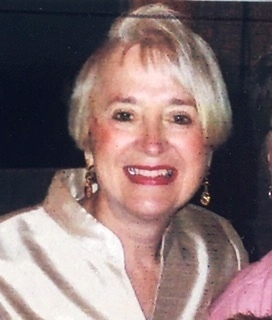 Vicky was born in Sandusky on January 26, 1948 and graduated from St. Mary’s Catholic High School in 1966 and attended finishing school in Columbus, Ohio, and Firelands College. Vicky lived a humble and joyful life of service, working 32 years as a server at the Brown Derby Restaurant in Sandusky, Ohio. But her greatest joy, greater even than her lifelong love for gardening and travel, was her 43 years of study, fellowship and service as a Jehovah’s Witness. A memorial service for Vicky will be conducted at the Oak Harbor Kingdom Hall (located on Ohio – 163 across from Ottawa County Fairgrounds) at 1:00 p.m. Friday, October 19, 2018. The Memorial will be followed by a meal and gathering of family and friends for fellowship and remembrance at a local hall to be announced at the memorial. In lieu of flowers, the family suggests donations be made to Stein Hospice Service,1200 Sycamore Line, Sandusky, Ohio 44870. Toft Funeral Home & Crematory, 2001 Columbus Ave., Sandusky is handling the arrangements. Condolences may be made to the family by visiting toftfuneralhome.com.